Call centers are a good means of growing a business and keeping the customers happy only if the services are good. 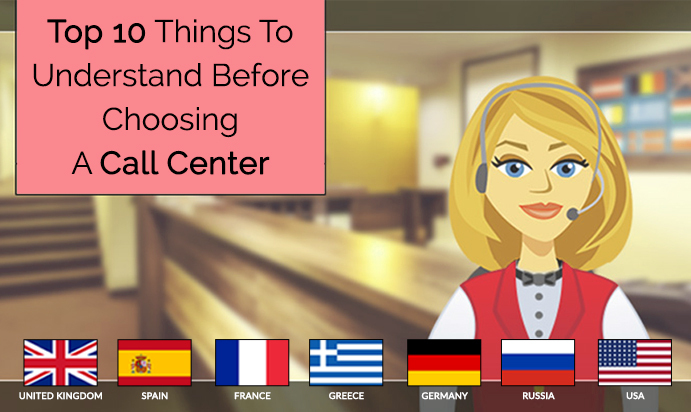 If you are going to choose a call center for your business, it is, therefore, vital to understand the top ten things to choose the right one. Remember, good call center services can make a vast difference to your existing business. So, let us have a look at the top ten things. You must have an absolute clarity over the same since a call center provides an array of solutions. As customers now loved to hear and ask their queries on multiple platforms, understanding that a call center can offer such a service is crucial for expecting any remarkable gains. According to statistics, around 70% on-premise call centers are planning to move to the cloud because of the advantages it offers by leveraging the cloud technology. 86% of the customers stop availing the services or products of a company if they experience a bad customer service and since, language plays a major role in the right kind of communication between the agents and customers, this point is really vital. Since skilled and trained agents are synonymous to excellent call center support services, make sure a call center offers adequate and timely training via training programs. Talk to some of their previous or current clients and take their feedback about the call center services they have provided to them. Pick the one that has prior experience of serving to various types of industries like retail, healthcare, and much more. Although not a pre-requisite for selection, an excellent infrastructure is desirable to have the latest tools and technologies that can aid agents in delivering an outstanding call center customer service. There is a great variation of rates in which, different call centers offer their services. So, choose the one that fits within your budget. A call center must be scalable so that with the growth of your business, it can also expand and you do not have to move to a new call center provider. You can also make a quick contact with Grupo Noa International reputed call center process provider company. Jorge Noa CEO of Grupo Noa International has over 20 years experience in the call center business, and over 16 years of experience in the Direct Response industry.